We are proud to announce that the Horse of the Year show 2017 winner of the British Ridden Heavy Horse was Percheron gelding Hales Hector. Owned by David Curtis, bred by E Garner & Sons and ridden by James Bradbury. 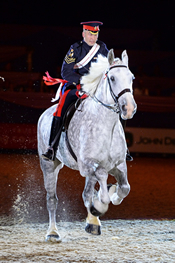 HOYS ridden heavy horse class comprises the four heavy horse breeds of the UK, Shire, Suffolk, Clydesdale and Percheron and Hales Hector was crowned Champion. You are now able to follow the British Percheron Horse Society on Facebook. 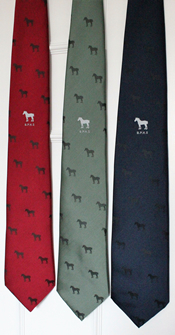 The Society’s Tie Design is now available in Navy Blue, £12.50 plus £1.50 post and package. For details of how to purchase, email pr@percheron.org.uk.